The 2019 edition of the most-awaited yearly bridal event lightened the heart of Milano from April 5 to 8, with the faces and dresses of the most renowned bridal designers. 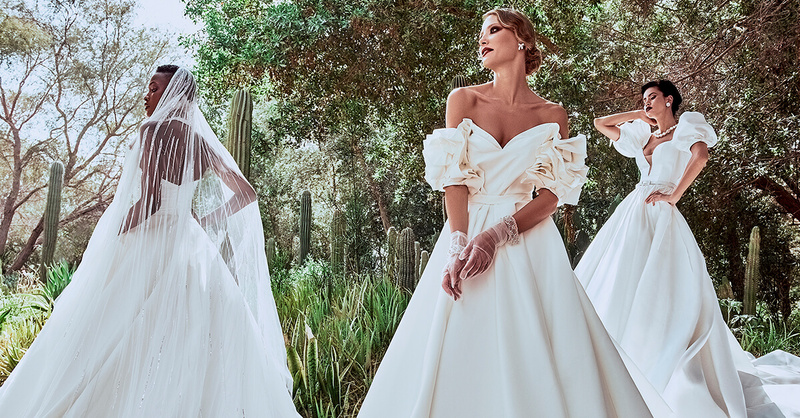 Representing Lebanon’s luxury couture, Esposacouture flew to Italy for the fifth consecutive year to unveil its latest bridal collection at Si Sposaitalia, in the presence of the designer Kristie Romanos. Staying true to the brand’s luxurious signature, the Esposacouture bridal gowns reinvented feminine sensuality through ethereal couture that revived the fairytale dreams of a woman’s platonic garden. Through a versatile collection designed for the modern bride, the 2020 bridal creations exhibited intricate craftsmanship while embracing the lightweight floating look of love. In a panoply of cuts and styles, extraordinary fabrics united with cascading layers, hand-sewn built-in bustiers, 3D fabric petals, and feather flowers to weave glamorous silhouettes. Esposacouture’s touch of drama and romance was never too far, recreating through sublime royal capes, daring bows, meticulous threadwork, and gleaming metallic floral beading, haute couture art for the distinct sophisticated bride.